The Ziauddin University Faculty of Pharmacy hosted commencement day of Pharm.D (Batch-XV) 2019 for 100 new coming students at Ziauddin University. “I congratulate to your parents for taking excellent decision to choose this respectable and noble profession for you. Now it’s your responsibility to help humanity and make your parents proud after graduation”, he added. Directly talking to the new batch he advised them that Commitment, vision, objective and professionalism are the main key factors which they all have to keep in their minds to become a successful pharmacist. ZFP – Quality drugs and medical supplies are imperative for us to have a healthy society. 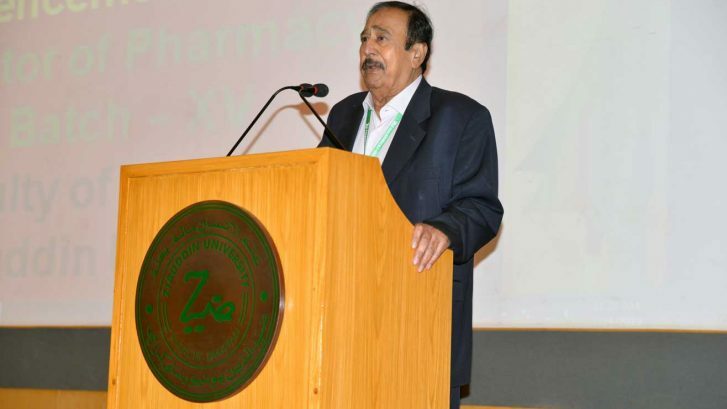 Ziauddin’s Faculty of Pharmacy has been a staple name in the Ziauddin family. Set up in 2005, Ziauddin offers standard 5-year Doctor of Pharmacy programme, accredited by HEC and Pharmacy Council of Pakistan. © 2019 Faculty of Pharmacy. All rights reserved.